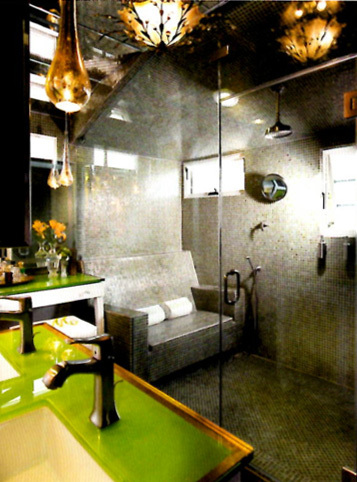 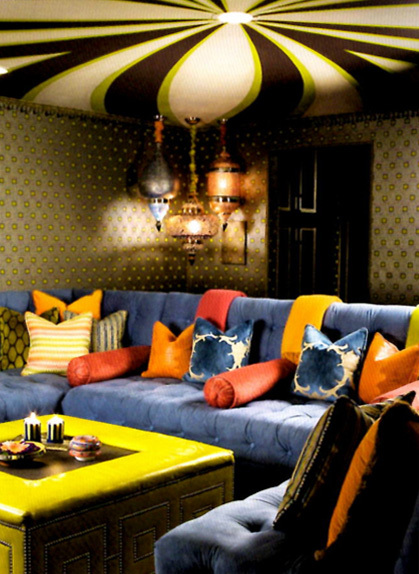 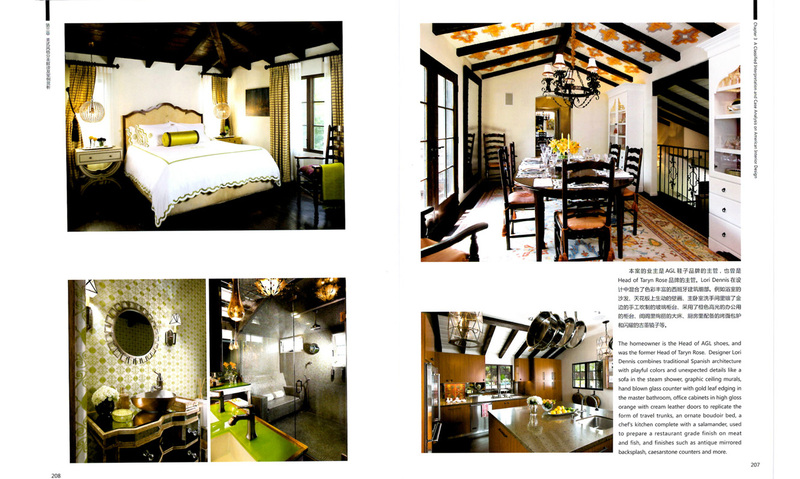 T he Manual of American Interior Design featuring the work of the top American interior designers highlights the work of Los Angeles based interior designer, Lori Dennis. 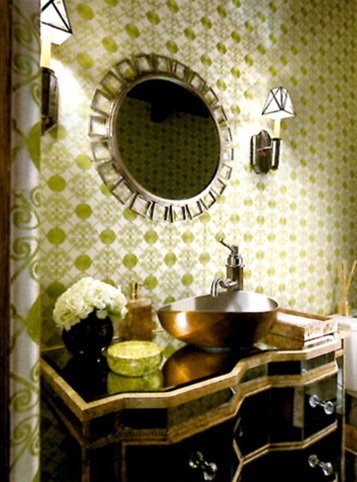 Lori Dennis is a star the HGTV television show, “Real Designing Women”, which is airing on five continents. 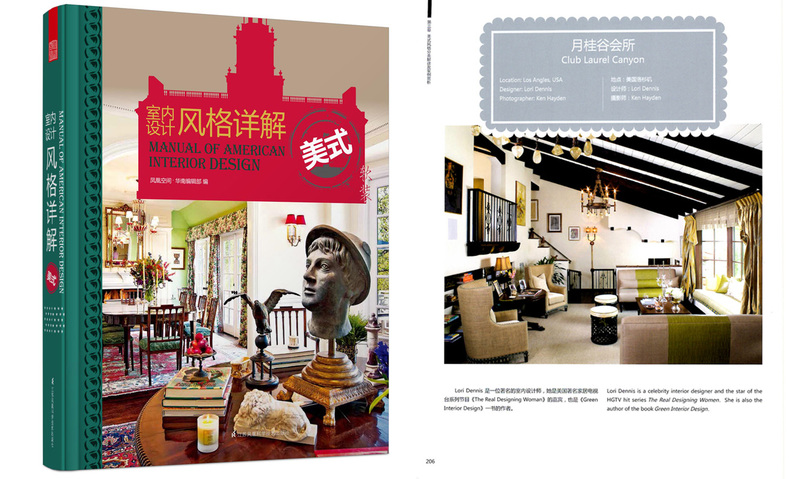 Lori Dennis is a celebrity interior designer and author of the book Green Interior Design. 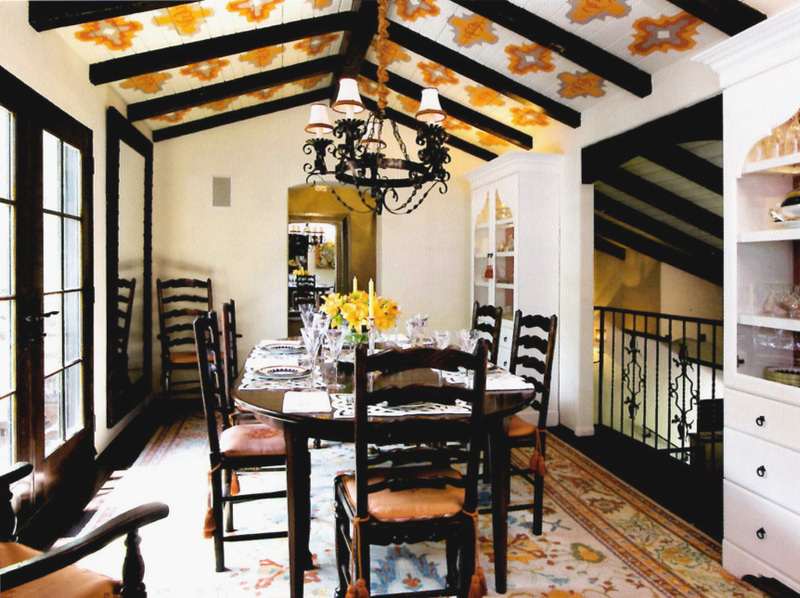 Her Laurel Canyon, Spanish Revival style project is owned by prominent shoe CEO, Marta McKay, the head of AGL shoes and former head of Taryn Rose shoes. 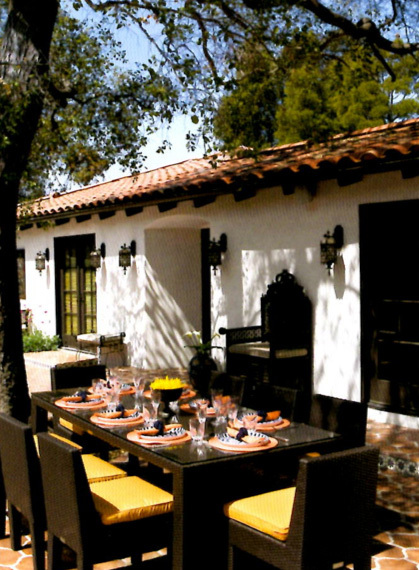 Designer Lori Dennis combines traditional Spanish architecture with playful colors and unexpected details like a sofa in the steam shower, graphic ceiling murals, hand blown glass counters with gold leaf edging in the master bathroom, office cabinets in high gloss Hermes orange with cream leather doors to replicate the form of travel trunks, an ornate boudoir bed, a chef’s kitchen complete with a salamander, used to prepare a restaurant grade finish on meat and fish, and finishes such as antique mirrored back splash, Caesarstone counters and more. 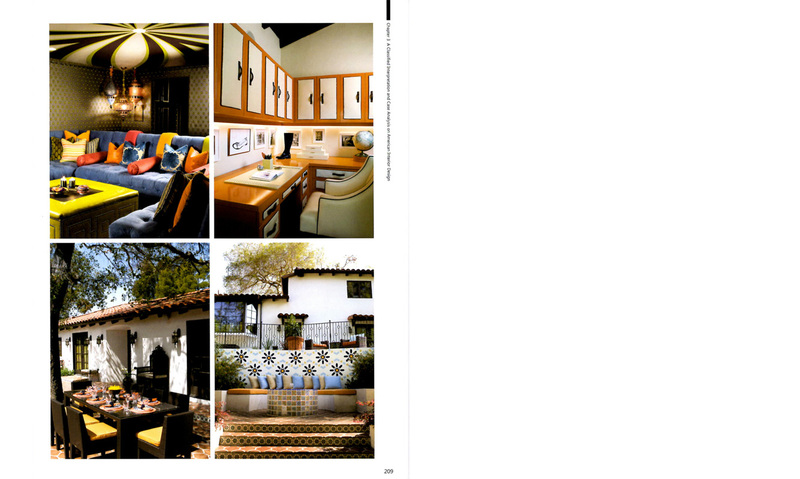 We were thrilled to be included in this volume of the Best American Interior Designers and Homes for our Club Laurel Canyon whole house remodel. 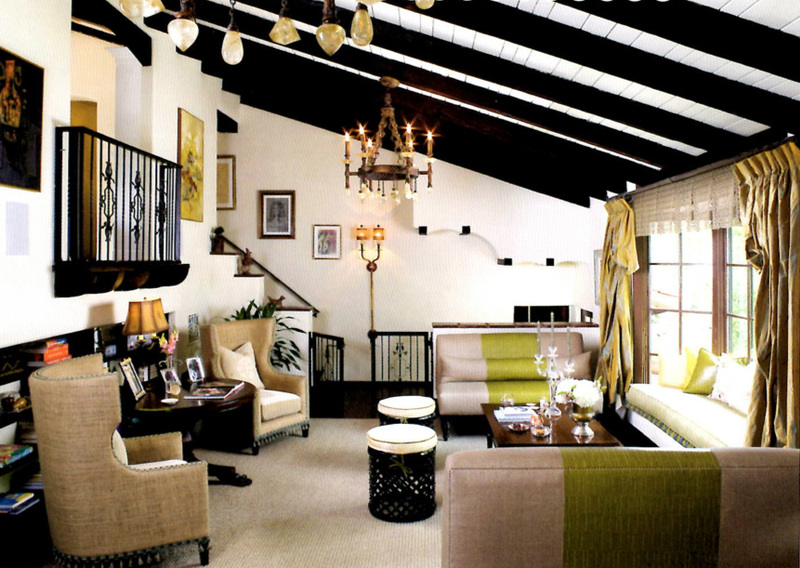 The style of the project is Spanish Revival. 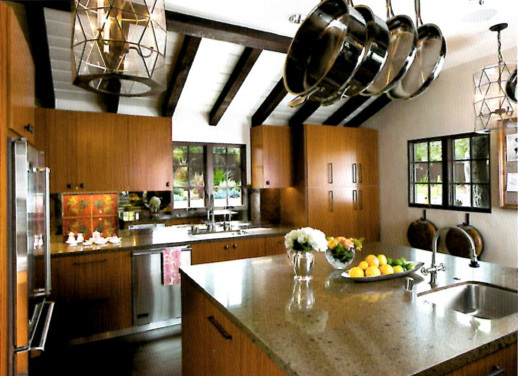 On three acres on Laurel Canyon, the scope included an extensive landscape and pool house renovation. 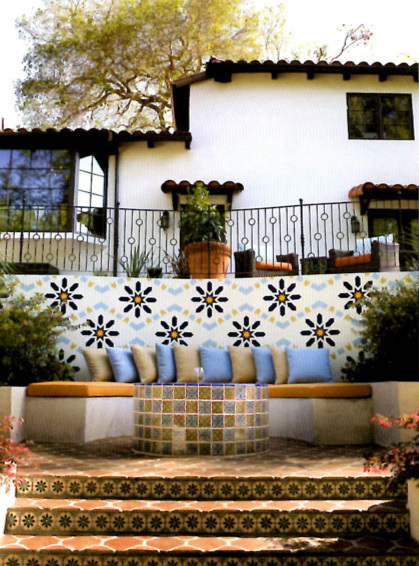 We are known for being one of the best Los Angeles general contractors for hillside retaining walls.